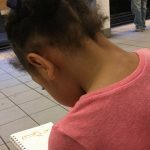 Currently viewing the tag: "presents"
1 train, 116th Street to 96th Street, May 2nd, 2018 The youngest poet of the project! 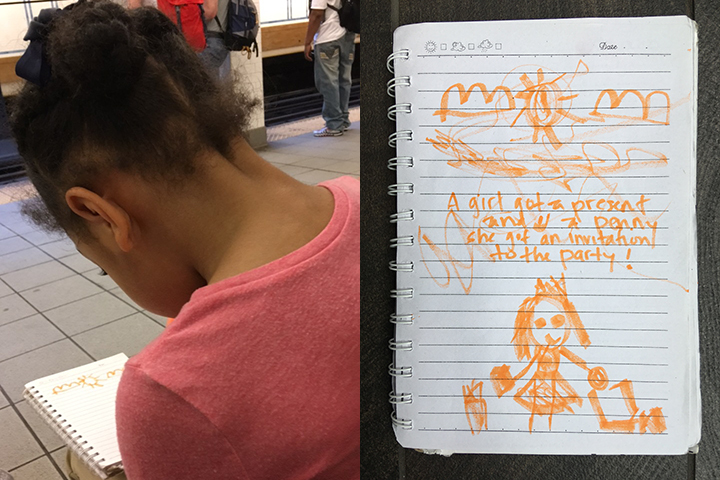 Her mom wrote it down as Isabel dictated and illustrated it. A girl got a present and a penny she got an invitation to the party! Read a poem by Rowan W.